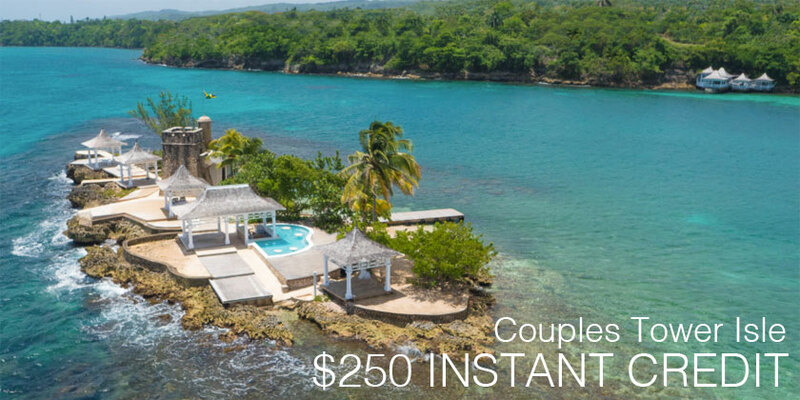 Plan an enchanting escape together at Couples Tower Isle and enjoy a $250 instant credit to get you going on your way towards total vacation bliss. Get ready to make new memories to last a lifetime. LOCK IN THIS OFFER BY DECEMBER 31, 2016! Just 100 yards off shore, our private island features one of the best au naturel beaches around, discreetly tucked a short but secluded distance from the main beach. Features include an au naturel pool bar, restrooms and lunch buffet.